Beggars All: Reformation And Apologetics: Lutherans Coined the term "Calvinism"? Lutherans Coined the term "Calvinism"? To consolidate the Reformed faith in this region [the city of Heidelberg], Frederick requested that a public confession of faith be devised that could be used to instruct the people in the new version of Protestantism. The result was the “Heidelberg Catechism” (1563), widely regarded as one of the finest documents of its kind. Calvin’s influence is everywhere apparent in this document, which did much to consolidate his influence beyond Geneva. Around this time, the term “Calvinism” was used by its opponents to refer to the Reformed type of Protestantism as a means of emphasizing that it originated from outside Germany. 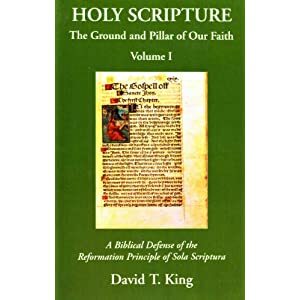 The term appears to have been introduced around 1552 by the Lutheran polemicist Joachim Westphal to refer to the theological, and particularly the sacramental, views of the Swiss reformers in general, and of John Calvin in particular. Once introduced, the term rapidly passed into general use in the Lutheran church. (McGrath, Alister (2009-10-13). 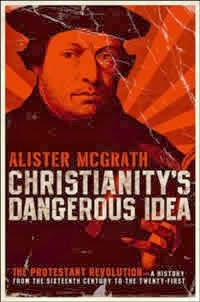 Christianity's Dangerous Idea (p. 98). Harper Collins. Kindle Edition. Reformed: The Bible says x, and here's why. Lutheran: The Bible says x, and explaining "why" is an appeal to human reason, so I really don't care about your "why." The discussion is nothing more than a bunch of people speaking past each other. What I would love to see is an in-person debate between a good Lutheran theologian and a good Reformed theologian, and I wouldn't watch it unless there was cross-examination. Christ did not earn only gratia, grace, for us, but also donum, “the gift of the Holy Spirit,” so that we might have not only forgiveness of, but also cessation of, sin. Now he who does not abstain fro sin, but persists in his evil life, must have a different Christ, that of the Antinomians; the real Christ is not there, even if all the angels would cry, “Christ! Christ!” He must be damned with this, his new Christ. (Martin Luther, On the Council and the Church, Luther’s Works, 41:113-114).